With the anticipated upcoming storms, a main concern of the Woburn Fire Department and the City of Woburn has been the challenge to keep the thousands of fire hydrants in the City cleared. Winter storms can often hide fire hydrants under a large mountain of snow making them impossible to find quickly. In the event of a fire, firefighters have to first locate and shovel out buried fire hydrants before hooking up to them. Important and precious time is lost and lives may be impacted. 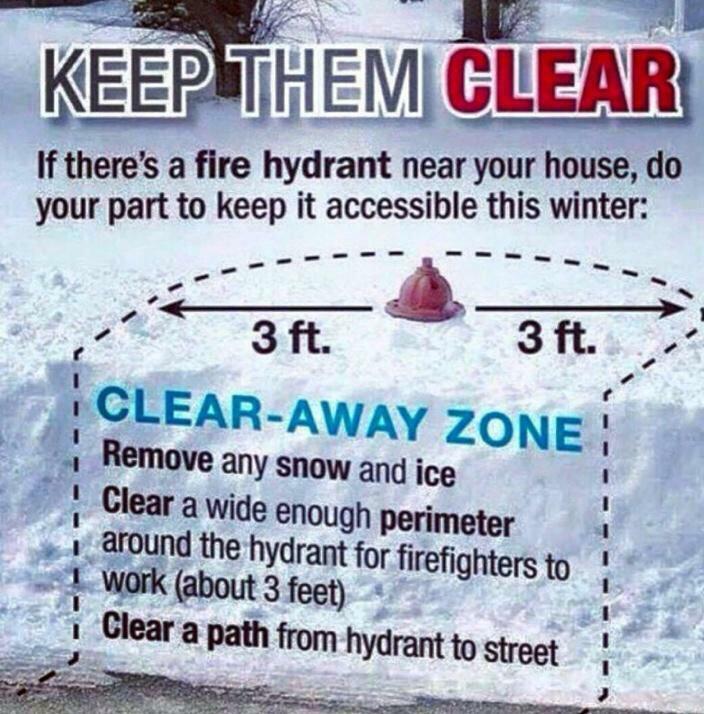 The City is asking that residents please assist us with keeping the fire hydrant closest to their residence or business clear of snow. The Fire Department requests a three foot clearance on all sides for best access to hydrants. The Woburn Fire Department is extremely grateful for any and all assistance that residents are able to provide.